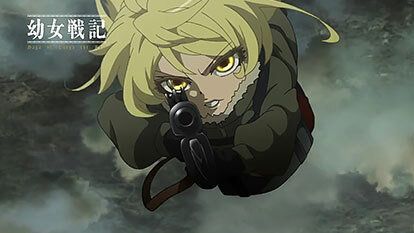 Tanya Degurechaff is a young soldier infamous for predatorial-like ruthlessness and an uncanny, tactical aptitude, earning her the nickname of the "Devil of the Rhine." Underneath her innocuous appearance, however, lies the soul of a man who challenged Being X, the self-proclaimed God, to a battle of wits which resulted in him being reincarnated as a little girl into a world of magical warfare. Hellbent on defiance, Tanya resolves to ascend the ranks of her country's military as it slowly plunges into world war, with only Being X proving to be the strongest obstacle in recreating the peaceful life she once knew. But her perceptive actions and combat initiative have an unintended side effect: propelling the mighty Empire into becoming one of the most powerful nations in mankind's history.